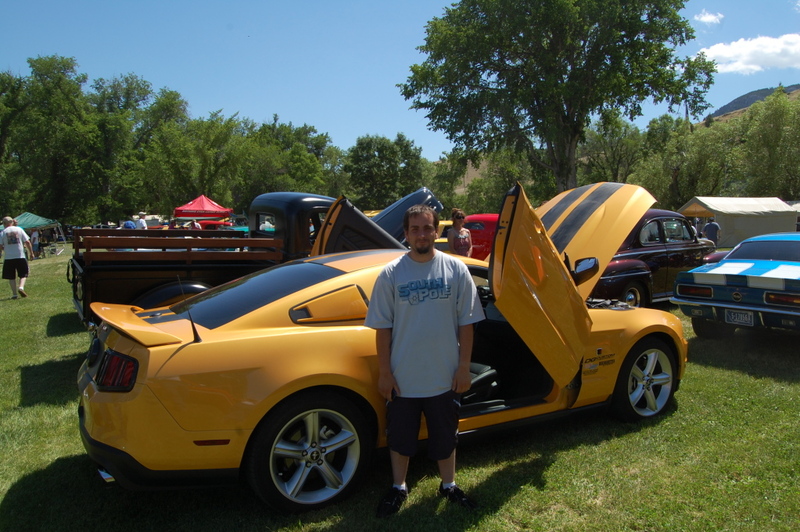 A young college student in Great Falls, he drove 3 days straight to get to a Jack Roush autograph event in Indianapolis then back in time for Blast from the Past. Erik I am checking the relationship with my genealogy team. We must be related. This is his second Roush Mustang. A girlfriend “borrowed” his first one without his knowledge. When he called to report it missing the GFPD said it was not missing. They had a reported incident with his car involved. He was allowed to retrieve his personal effects. It now rests in a boneyard in Helena. He has done most of the modifications to the car. Supercharging the engine was left to a shop. The 100mph tape supplied with the side scoops is not rated for 140mph, note lack of side scoops.